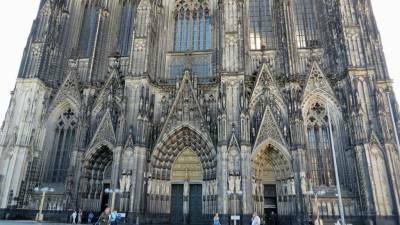 Cologne Cathedral / Kölner Dom – the highlight of a visit to Cologne. 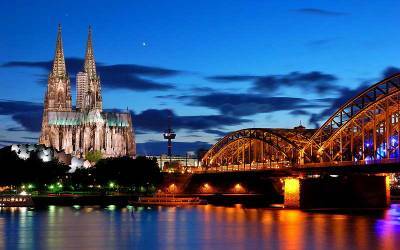 The Cologne Cathedral is on the Rhine at the Hohenzollern Brücke Bridge in the heart of the Old Town. 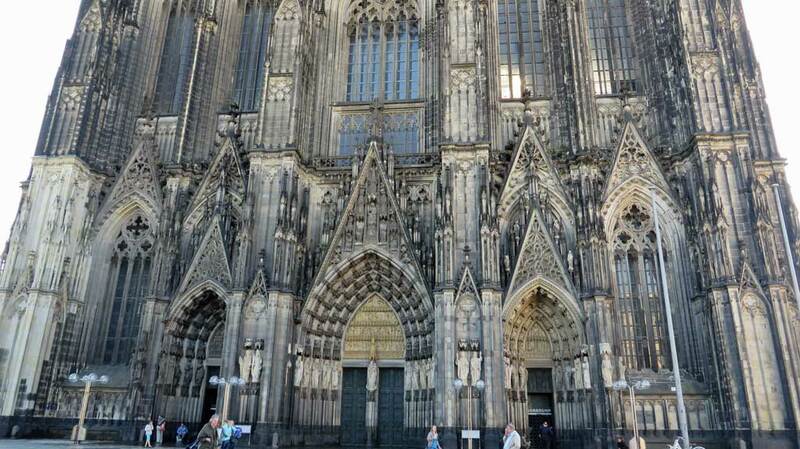 When you step off your train in Cologne, you have already arrived at the Cologne Cathedral. 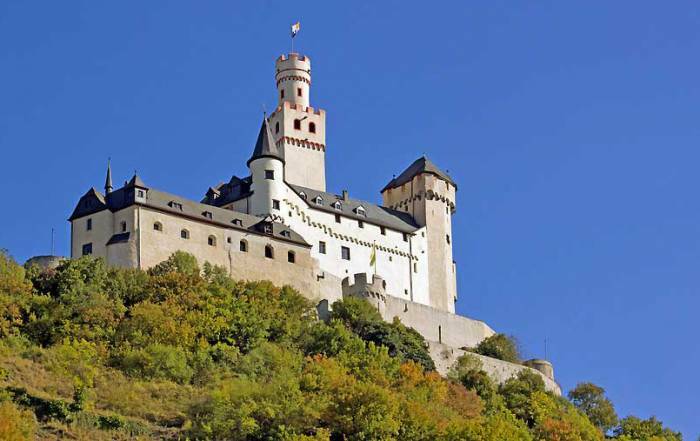 Construction started in 1248, but wasn’t completed until 1880. 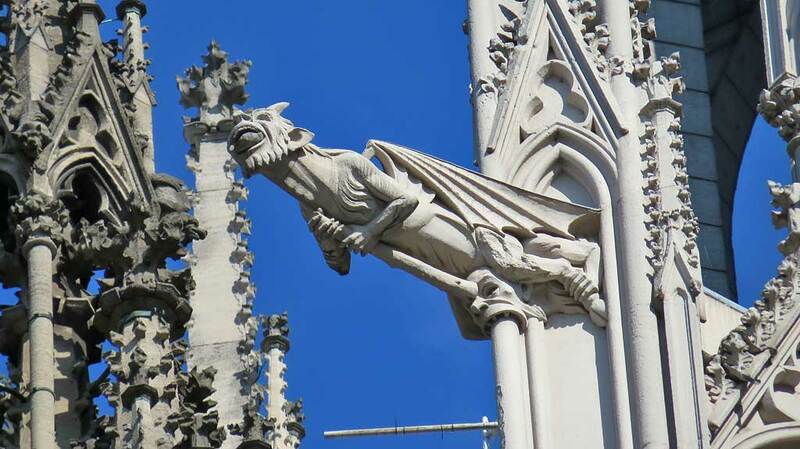 The style is classic Gothic, with lots of spire and intricate detail. There is no charge for entry. Climb 500 steps up the South Tower for a small fee and get views of the city. The Cathedral escaped bombing during World War II even though buildings right beside it were destroyed. The Americans occupied the cathedral side of the Rhine and the Germans blew up the Hohenzollern Bridge to defend the opposite bank of Cologne. 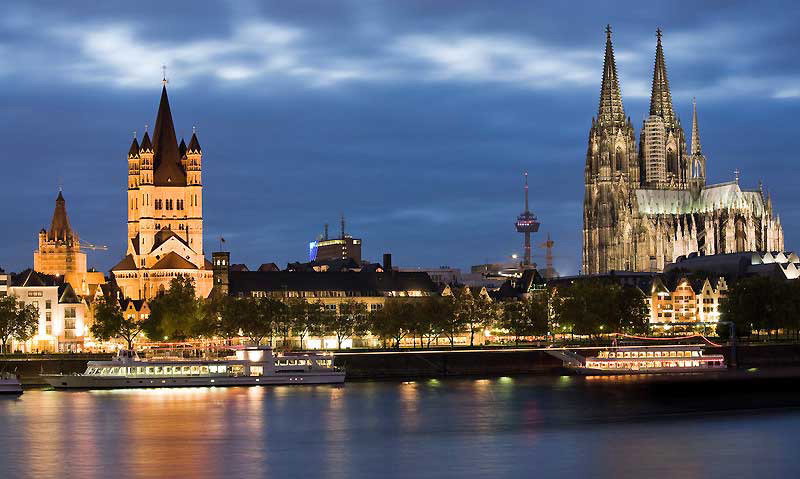 Take a stroll through the Old Town after you visit Cologne Cathedral. 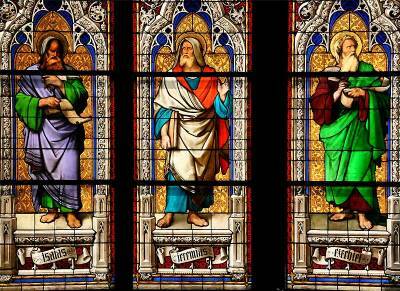 First visit Gross Sankt Martin Church and see the interesting use of black and white stained glass. Then see City Hall (Rathaus) and the shopping district at the intersection of Hohe Strasse and Schildergasse. Stop at the Peters Brauhaus – the most popular bar in town. Römisch-Germanisches Museum – right beside the Cologne Cathedral, featuring Roman and Germanic artifacts, including the Poblicius tomb and the Dionysus mosaic. Wallraff-Richartz Museum – Rembrandt and Rubens. From the Old Town, you can walk across the Hohenzollern Brücke train bridge to reach the Rhinepark. Some river cruise boats dock in this area. Consider renting a bike near the train station to travel through the park. 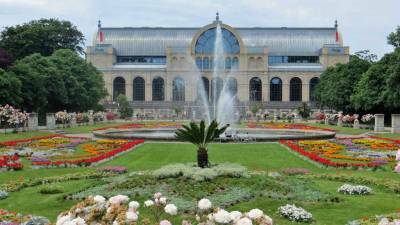 At the far end of the Rhinepark, you will find the Claudius Therme thermal baths and the Kolner Seilbahn Cable Car. 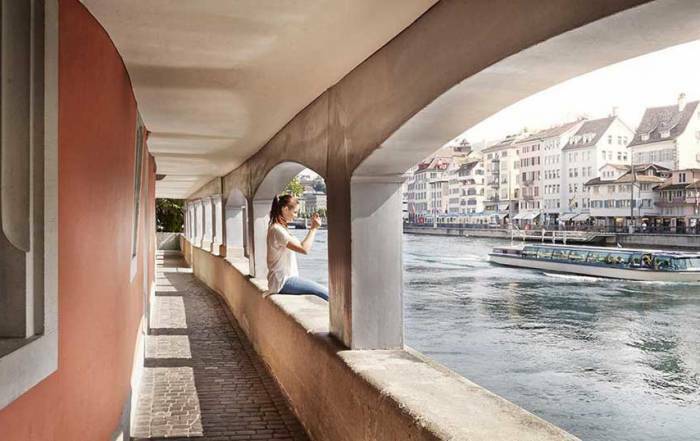 The small cable car gondola takes you on a journey over the Rhine River above the Zoobrucke Bridge. On the other site, you arrive at the Zoo / Floral & Botanical Gardens. The cable car has views of the city, the river and the Cathedral. 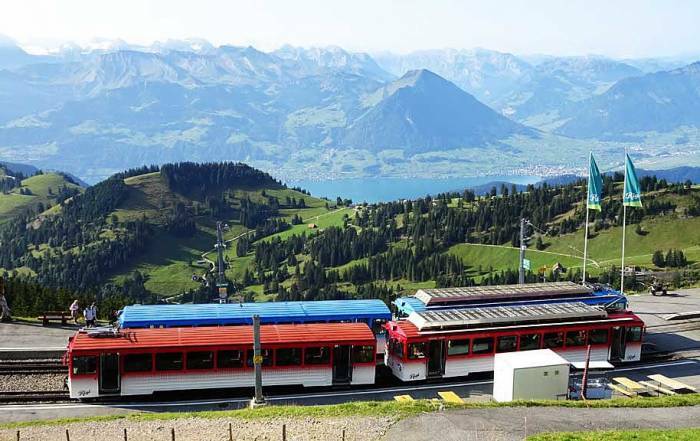 The Kolner Seilbahn Cable Car doesn’t operate in winter. Deutsches Sport and Olympia Museum – tributes to the 1936 Berlin games and the 1972 Munich games. Schokoladen Museum – chocolate museum. Haus of 4711 – famous colognes, perfumes, fragrances. Visit the City Gates and Walls of Hahnentorburg – near the Rudolfplatz tram. 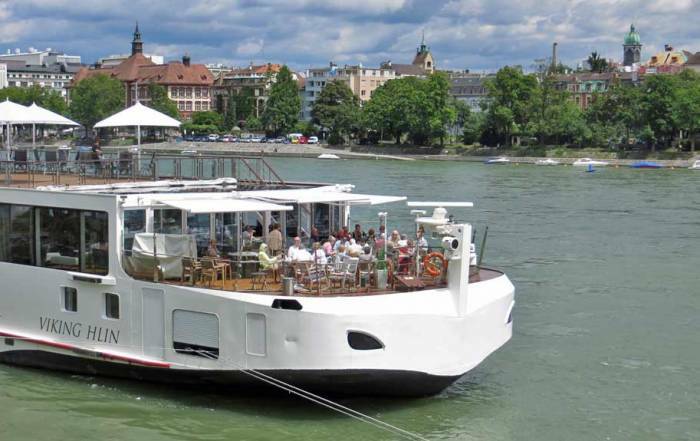 Take a day cruise on the Rhine. Ibis Hotel Köln Am Dom – hard to beat this location, right beside the Cologne Cathedral and the main train station. The best Cologne weather is in summer, which is the height of the tourist season. Average temperatures peak in July and August at 80 F (26 C), while lows are about 55 F (13 C). By December and January average highs are 40 F (5 C) and average lows are just below freezing. Rainfall is highest in July while August sees less rainfall than most months. 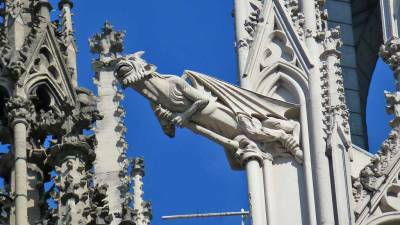 August is likely the best month to visit Cologne for good weather. June is an excellent choice for avoiding the height of the tourist season. You can get to Cologne quite easily. 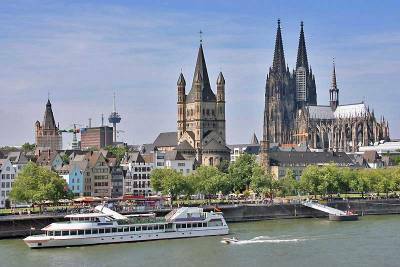 Cologne is a standard stop for Rhine River cruises. River cuises approach from Amsterdam and Rotterdam downstream or from Koblenz upstream. Other nearby cities include Bonn and Dusseldorf. 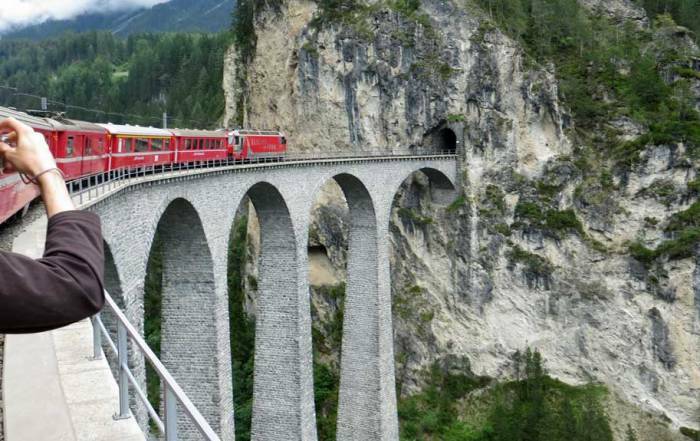 You can get to Cologne easily by train. The train station is on the Rhine in the Old Town right next to the Cologne Cathedral. 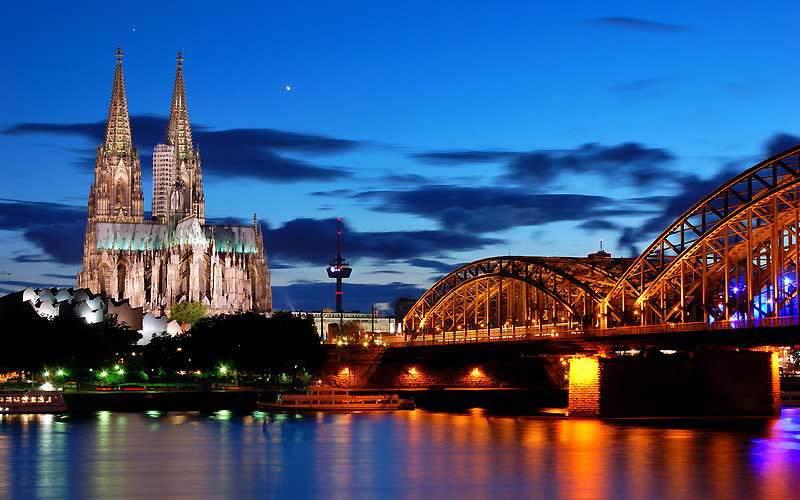 Many of the things to see and do in Cologne are within walking distance of the train. 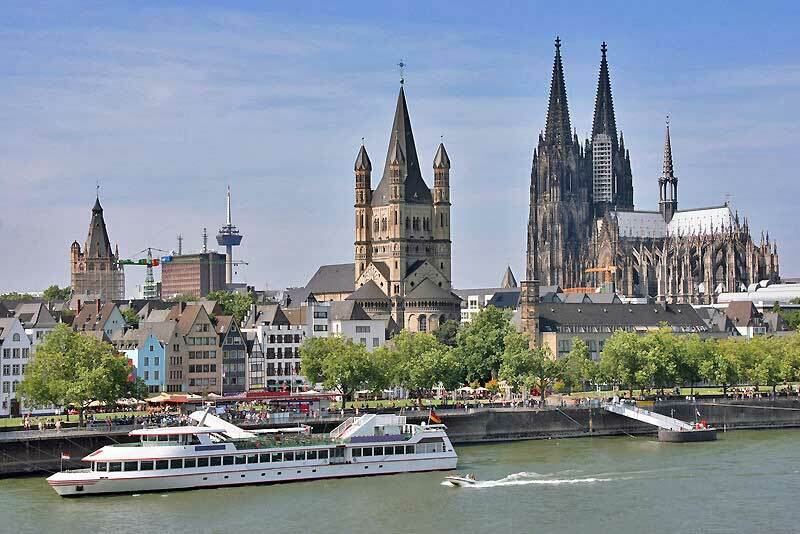 Some river cruise ships dock on the opposite bank to the Cologne Cathedral, which gives you great views of the church plus the option to walk across the Hohenzollern train bridge to visit the church. Cologne is referred to in German as Köln or Koeln. 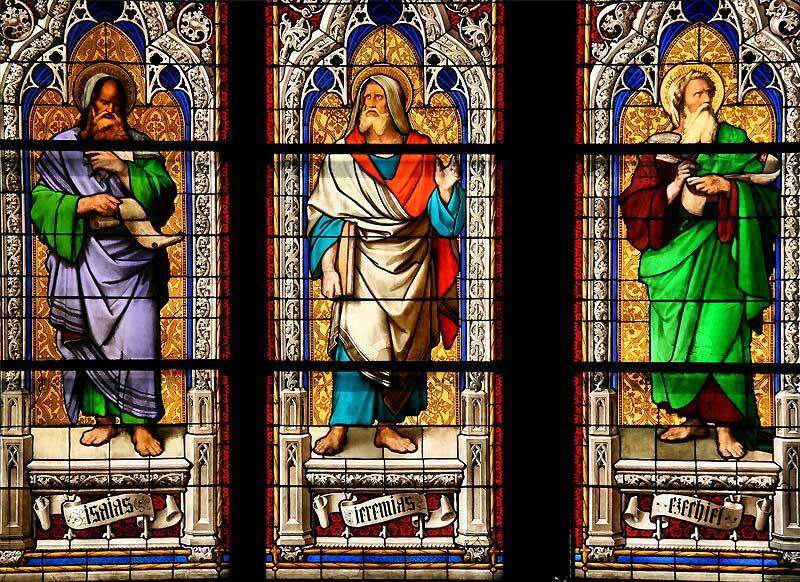 Cologne is famous for the invention of cologne perfumes. 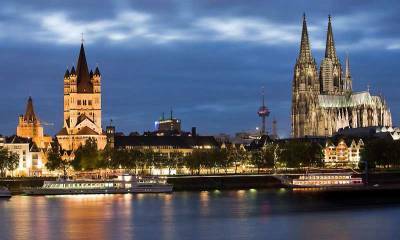 About 1 million people live in Cologne and people have lived there since 38 BC. The Cologne Cathedral (Kölner Dom) is the city’s best known and most popular tourist attraction. 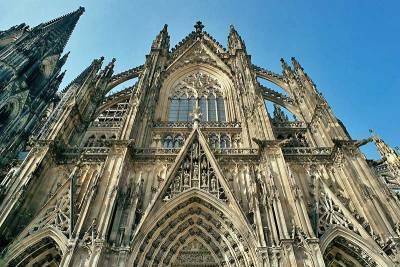 The Cologne Cathedral was not bombed by the Germans during World War II, but the rest of the city around the church was flattened. Cologne also offers tourists the chance to see Germanic and Roman ruins, plus more than 30 museums.